Pinewood Pro axles were track tested with hundreds of test runs to prove that we have the best and fastest axles. The Speed Test numbers below each product is the average speed increase over Stock BSA axles. FASTER Axles to get to the finals!! Axles are direct from Cub Scout kit, Legal in all races that allow graphite. FASTEST Axles to make your car a winner!!! The fastest axles on the market, guaranteed! Polished, nickel plated, with secret cuts to reduce friction and eliminate wobble. Exact dimensions as BSA axles. A perfect fit for Awana Grand Prix Wheels too. Axle shaft is slightly oversized to reduce wobble because axle is tighter inside wheel bore. Diameter is .0910" verses BSA .0870 " +/- .001"
Axle shaft is undercut at the head to create a perfect 90 degree edge which eliminates wheel wobble...fixing another problem that slows down your car. Undercut at axle head also eliminates friction in this area because less wheel surface is rubbing on the axle. Axles are individually bagged to protect from scratches during shipping. Axles are exact dimensions of BSA axles but they are machined parts. May not be legal in your race. Get the fastest axles on the market, guaranteed! The fastest axles on the market just got faster! ...with a smooth, slick, graphite perma-coating that will stay on your axles right through the district race! Yes, you still need to add graphite to your axles, because the powdered graphite needs to work through the wheel bore. You should NOT use Nyoil with graphite-coated axles. We recommend using our Pro Graphite with moly lube with these axles, not Nyoil. These are the BSA axles that come in the BSA Cub Scout Pinewood Derby Grand Prix kit. You must remove these burrs of they will grind inside the wheel bore. Crimp marks must be removed or they will grind into your wheel, slowing your car like ABS brakes! Angling the head reduces friction where the head meets the wheel. The axle is then polished to remove imperfections. However, these axles are not as good as our Speed Axles above...we recommend a light polishing to improve performance. Legal in BSA races that allow graphite lubrication. The fastest BSA axles on the market just got faster! Legal in BSA races that allow graphite lubrication and that allows you to alter your axles. The fastest BSA axles, even faster, with a secret groove to reduce friction further and hold graphite! 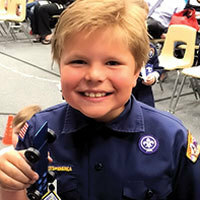 Official BSA Cub Scout pinewood derby axles... You can't get any faster! Speed Axles - low cost, high performance! NEW! Bent Steering Axles Steer Your Car Straight, Make A Rail Rider! Steer one front wheel so your car rolls straight! Orient the slot in the head at 12 o'clock (straight up and down), then gently turn the axle left (or right) to correct your car steering. No Need for expensive axle bending tools that could damage your axle. NEW! 2.5 Degree Bent Axles Use To Cant Rear Wheels, Make A Rail Rider! Bent 2.5 degrees so you can gently guide the rear wheel away from car body towards axle head, thereby reducing friction. Orient the slot in the head at 12 o'clock (straight up and down), then gently turn the axle left (or right) to cant the wheel. Build a Rail Rider Car! Just use our 1.5 degree steering axle on the dominate front wheel to gently guide the car towards the rail and use our 2.5 degree bent axles to cant the rear wheels so the wheel ride away from the car body towards the axle head where there is significantly less friction. Just use our 1.5 degree steering axle on the dominant front wheel to gently guide the car towards the rail and use our 2.5 degree bent axles to cant the rear wheels so the wheel ride away from the car body towards the axle head where there is significantly less friction. 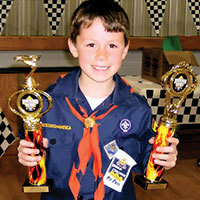 To win your pinewood derby race you need fast axles. 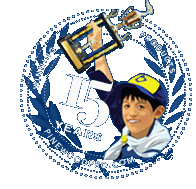 As engineers, we designed the best axles - track tested and proven winners for over 15 years. But don't take OUR word for it...see what some of our customers have to say. 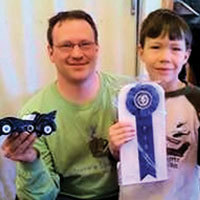 My son just won his Pinewood Derby! You saved the day for me! Although he won a trophy, the smile on his face was the best prize of the evening!